In just 11 short years, Malia has experienced some significant changes. From gaining a new family at the age of two and moving across the globe, to discovering a disability and finding a way to overcome it with the help of a dog, Malia has done it all with a smile on her face. Malia was adopted from China in 2007 when she was just two years old. Her new parents, Julie and Gary, knew she had some health issues before they brought her to the United States, but they became more apparent the longer she was home. Malia has a mild form of Cerebral Palsy that causes paralysis on her left side, but what the family didn’t know was that Malia also had a seizure disorder. Malia’s seizures were not easy to identify because they occur while she is sleeping, either right before or right after REM sleep. They can also be affected by seasonal changes, including daylight saving time adjustments. Unfortunately, all this meant Malia’s parents weren’t able to witness or treat all her seizures creating stress and worry for Malia and her family. Malia’s doctors recommended her family look into getting a dog that could alert to her seizures. Recognizing Malia’s affection and care for their family pet, a Yorkshire terrier named Chief, Julie and Gary decided to pursue the idea. After extensive research, Julie discovered most organizations would not place a dog with anyone under 12 years of age. Then, she found Canine Partners for Life. 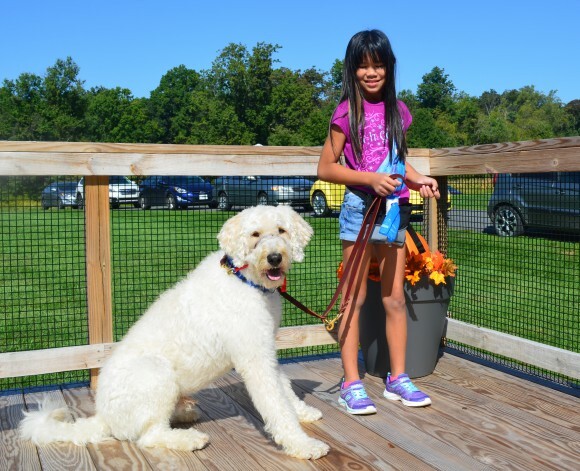 After talking with the CPL staff and submitting an application, it was determined that the best solution for Malia was to find her a dog that would stay in at home with her and alert to her seizures. Not all Home Companion dogs also serve as alert dogs, but at CPL, we work with all of our applicants to meet as many of their needs as we can to live a more independence and safe life. Because Malia’s seizures only occur while she is sleeping, her dog would not need to accompany her outside the home. Malia’s family was looking for a warning when her seizures occur, a comfort to Malia as she learns to navigate the world with a disability, and peace of mind that Malia is safe when she sleeps. They soon found that all those characteristics could be incorporated into one curly-haired package with Wesley. With Wesley at her side, Malia and her parents can now live a more independent life free of worry and doubt. One can’t help but smile when they see Malia’s cheerful face as she plays with her “buddy.” She and Wesley are certainly an adorable pair.